The Pundit P1-AH1 is large on style and multimedia power, yet takes up little space. 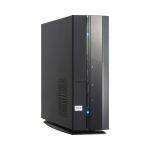 The P1-AH1 leveraged a host of industry-leading specifications for building an all around multimedia powerhouse. When space is at a premium, the P1-AH1 will also be the most fitting fine works for your precious desk real estate. The Pundit P1-AH1, with its creative slim design, is a perfect space-saving solution for cluttered desks. The Pundit P1-AH1 provides rich features for multimedia applications. DVI output, D-sub, S-video, TV output, S/PDIF output, 5.1 channel audio, a CF card reader and 3-in-1 card reader (MS, SD, MMC) are just some of the excellent offerings. The Pundit P1-AH1 featured the latest in personal computing technology to raise productivity. 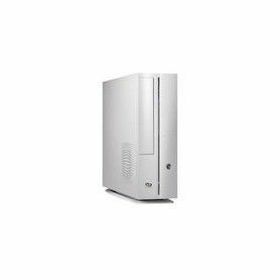 - Support AMD Althon 64/X2 up to 4600+ GHz. Recover Pro is an always-available recovery tool. 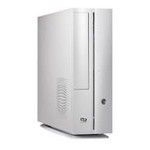 It stores user data, applications and the operating system in the host-protected area of the hard drive. 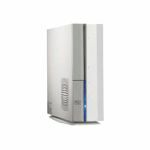 Users can easily recover system to their original factory conditions or to a more recent state without restore CDs. No need to worry about losing data due to virus attacks. ASUS Q-Fan automatically adjusts CPU fan speed based on system loading and temperature to ensure a quiet and distraction-free working environment.